Hey! Good news for all Tony Stark, Iron Man series or the Marvel Cinematic Universe fans. 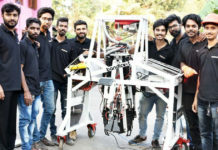 Those who wish to own a robot that can follow their commands and also look alike Iron Man, it’s time to make their dreams come true. 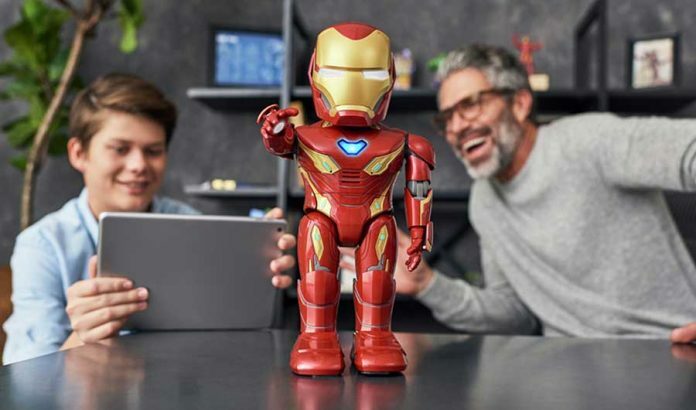 Now, an AI and humanoid robotic company UBTECH Robotics has teamed up with Disney and Marvel Studios to bring fans the latest in AR (augmented reality) technology. 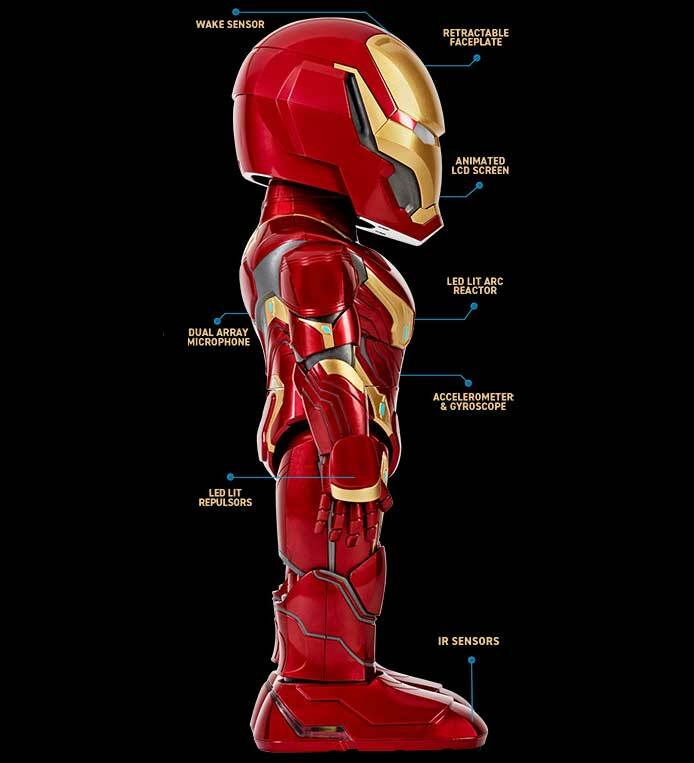 They designed a humanoid robot called “Iron Man MK50” with all the myriad functions of a real Iron Man suit. 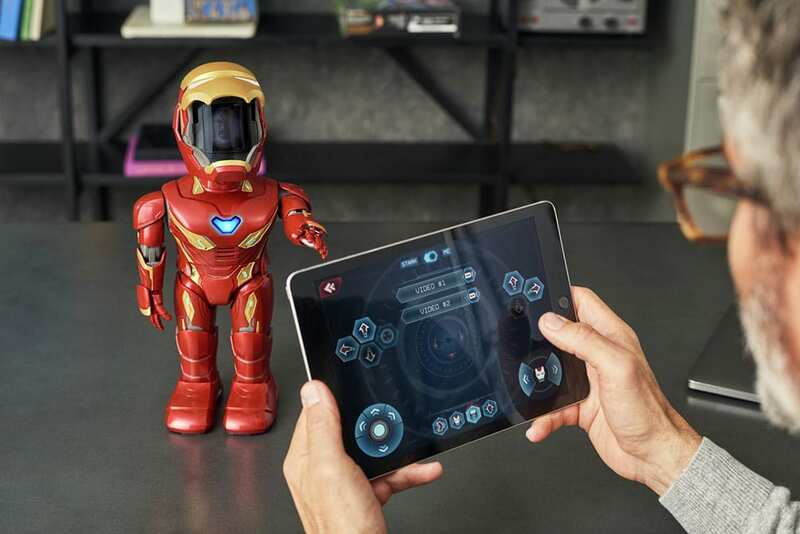 This smartphone-enabled Iron Man Robot brings Tony Stark’s MK50 armor to life with authentic movements, lights, and sounds more. Let’s have a detailed look at it! The Iron Man MK50 is a walking Droid that can code, move, and battle just like Tony Stark. It comes equipped with dynamic AR technology that can be remotely controlled by an app and personalized to suit every user’s needs. It stands over one-foot tall and pairs with your iOS or Android device. The app lets you play as Tony Stark and suit up in the iconic MK50 armor to practice your battle skills. Build your arsenal of nanotech weaponry, then battle against enemy drones inspired by Iron Man’s iconic villains, like the Chitauri and Ebony Maw. Control via App and Upload your own photo to get the real feel. The Iron Man suit can walk around autonomously, as well as while being controlled from your device. And for those wishing they could do the armor themselves, UBTECH’s new robot has you covered. “I am Iron Man!” Use your mobile device to upload your own photo and custom audio to your Iron Man MK50 Robot’s face display. Friends (and enemies) will be blown away when the retractable faceplate opens to reveal you as the hero underneath Iron Man’s armor. Moreover, Iron Guard Protocol offers you custom patrol compatibility, utilizing cutting edge light sensor technology. 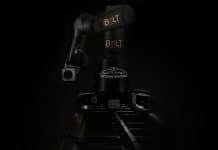 This enables the robot to detect enemy attackers and respond with audio and light reactions. 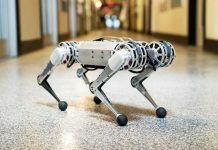 This cute robot won’t bump into your furniture or walk off your desk, sensor helps it to detect and avoid objects. Additionally, using the companion app to control the Iron Man MK50, you can put yourself inside the mask as you assume the role of Tony Stark. You can control movement, lights, and sounds via a mobile device. And also can code original, custom action sequences to personalize the experiences using block-based programming inside a drag-and-drop editor. Dimensionally, it is 13″ x 6.5″ and weighs just 2.6 lbs which makes it compact and light enough to carry anywhere easily. 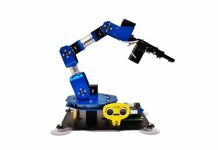 It also comes packed with 2 Lithium-Polymer batteries, you can charge the robot using any USB charging cable. 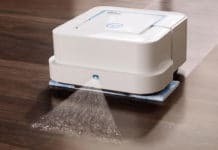 In addition, the robot understands several languages like English, French, Spanish, Portuguese, Japanese, German, Korean, Chinese (Simplified), Chinese (Traditional).